In his essential entrepreneurial tome, “The Business of Expertise”, David C Baker explains that it’s often difficult to read the label on the jar when you're inside the jar yourself. This, in a nutshell, is why consultants exist. It can be difficult for business leaders to highlight the real issues when they're so close to them. It’s one of the reasons SMEs in the UK alone spend around £60 billion a year on expert consultants. Knowing when to deal with issues in-house and when to outsource is something most business leaders still struggle with. The ego can be a great barrier, as it can feel a little like admitting defeat. However, when you need to make those big strategic decisions and you lack the expertise, innovation and organisation to make those decisions confidently, it's time to start asking those questions. John Thorpe has been a Vistage Chairman for 13 years now. He chairs two groups as mentor, coach and group facilitator and is currently working directly with 15 London-based CEOs. Richard Hancock, meanwhile, has not only been providing part-time managing directors to London businesses as Regional Director at The Marketing Centre for the past three years, but has also been running his own business consultancy, Picklock, for almost a decade. We sat down with them to pick their brains on not only when business leaders should be asking for help, but how they should be making sure that help is the right help for them. Vistage: What does outsourcing actually mean to you both? Richard Hancock: There is no one specific answer here; there are a number of different models to consider. You have consultants that come in and do a job, express an opinion, leave a report and walk out the door leaving a nice, fat invoice in their wake. Then you’ve got agencies that genuinely work with and for the business and, of course, the Liberti Group model, which is something of a hybrid. As an outsource provider myself, I'd argue that a cornerstone of our outsourcing proposition is that we provide part-time marketing directors that are also a part of the business. That's where it works best, I think; when they are not seen as outsourced; they’re just a part of the team. John Thorpe: I think what Richard is referring to is what we're now calling the interim model, which has actually been around for years. But it's changed. In the past, an interim agent would basically be body shopping, and those people would be working for lots of different agencies. Typically they would work on a project or they would provide cover for a job. Where the model has been tweaked is that organisations like The Marketing Centre and The FD Centre have brought together a community of experienced practitioners who would like to continue to work, but would perhaps prefer not to do so full time. These are experts who have typically come from a corporate career but are a bit fed up with the corporate environment. They’re senior, experienced people who quite like doing a few days rather than a full five or six. V: What are the main benefits of outsourcing problems, particularly within this interim model? RH: It’s a lonely place being an entrepreneur, particularly when the business starts overtaking the capabilities of that leader. Then it gets scary, and you stop enjoying it. I’m not just banging the drum for the Marketing Centre, but it is very much part of the unique proposition that we offer. We can deliver someone with the intellect and experience required to develop the thinking, the strategy and a plan. Someone who is also willing to take on the responsibilities associated with working as part of the team in delivering the execution so that the rest of the management team can carry on doing their day jobs. This can be so much more effective than the common model of just paying an agency because you don’t have the in-house expertise to know what good looks like. JT: Putting my Vistage chairman’s hat on for a moment: if I’ve got a new member and I’m asking them questions about cash and margin and I get a bit of a blank stare, I'll ask to see their financial reports. If what I see is rather rudimentary, I then start to dig into their finance department. Usually what I find is there’s a bookkeeper that’s been there for ten years, but there’s no financial management or analysis going on whatsoever. In that example, outsourcing is indispensable. I would recommend a part-time financial director that would help that business realise there are all sorts of things that they're not doing that they probably don’t realise they should be doing. V: So, how do you establish what you need when you don’t necessarily know what you need? RH: Often the trigger for seeking help comes quite late in the day when sales have already started declining and staff have started to leave. It must be very refreshing for an external agency or consultant when you get that phone call during an aggressive upward trajectory, where businesses are anticipating problems down the line, but that’s not usually how it happens. Normally, the wheels have started to wobble (or one has already fallen off) before the call comes in. The most common first symptom that business leaders have is that sales are plateauing or declining and in that case, it often takes quite a lot of analysis to discover the underlying issues. In essence, I see us as business psychologists. There is a symptom that is clear and obvious, but getting to the underlying cause requires a little bit more work. You get there and then you prioritise the issues that need addressing. As lonely as it is to be an entrepreneur, it's an even lonelier place being a CEO, so our job is to ask the right questions, tease out what the problem is and refer them to the best place. Of course, you’ve got to start with a plan and a strategy before can you go out and get the right people. Without knowing what your route to market is, what your proposition is and where your customers are going to get their information from, how do you know what type of people you need? JT: I feel a big problem with the average SME owner is that they don’t know what they don’t know. If that makes sense? If the business has been inherited, for example, and you’ve not experienced the business schooling that somebody who has gone through the corporate side of things has had the advantage of, there are whole areas that you don’t necessarily appreciate. You may not understand what a serious problem you can get into if you don’t have good legal advice for employment situations, disputes, leases, shareholder agreements or whatever it might be. So you just plough ahead until there’s a problem and then you realise that the verbal commitment that you made or that one line email you sent is actually going to get you into trouble. So, I do think there’s this learning curve of getting into trouble and then realising that next time around you need to be a little more professional. That’s where outsourced senior resources come into their own. V: Is it up to the business leader to know when to accept outsourced help? RH: Absolutely, and it takes a very grown-up leader to acknowledge when help is needed. You need to acknowledge the fact that you have a problem before you can really embrace the solutions to address that problem. I had a meeting with a business leader yesterday, in fact, who said they had taken their business as far as they thought they could and now they needed some help from people who “knew what they were doing”. That kind of humility is really refreshing for me because sometimes you have those meetings with leaders that know they need help, but then they just sit there telling you how brilliant their business is and you realise they’re not ready to accept the help they need. JT: I like the point about “grown-up leaders”. I had one of the same observations working with SMEs; they were remarkably reticent to take professional advice. Sometimes due to good old fashioned ego, but typically because it costs money. The inclination then would be to ask a mate or somebody they knew to avoid paying for it. I think what’s happened now is that, through the emergence of these companies that provide part-timers, there’s been a realisation amongst the SME owners that they can get a shot at leveraging the skills and expertise of someone who might be worth a couple of hundred thousand in the market for a fraction of that price. I think it’s sort of an awakening and a realisation that this option exists. In many smaller businesses, I think there was a lack of appreciation and understanding of what senior expertise can provide until quite recently. V: When should businesses start to consider outsourcing? 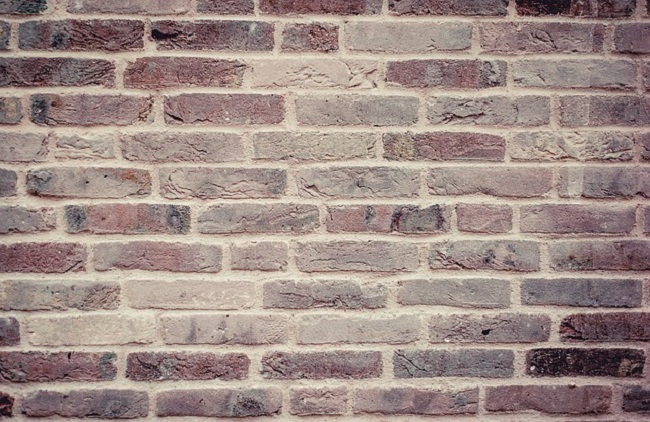 Are there any telltale signs that you’ve hit a wall? RH: Many businesses often do well on the back of the vision, the energy and the instinct of a founder-entrepreneur. However, that original drive and energy will only take you so far before you hit a wall. Many businesses get to the point where they outgrow the capabilities of that original management team and it takes a very self-aware business leader to acknowledge that fact and call for help. Often, you’re so immersed in the day-to-day stuff that you don’t have time for that period of reflection. You chase revenues and you chase customers and often quite quickly you can lose sight of the reason you set up the business in the first place. Businesses evolve opportunistically, but with that comes a huge amount of complexity, and suddenly, you realise that you’ve been so busy chasing revenues that you no longer have any real understanding of who your core customers are. That's when some outsider perspective is required. JT: I think, as Richard said, once the founders have burned out their initial energy, they might feel that they’re flat-lining and that's when it's time to get the consultants in to tell them where to go next. But what are the red flags? If your revenue’s flat and your margin is declining, that’s the main red flag. V: Do you think it’s detrimental to keep everything in-house? Or, conversely, do you think there are things that should always remain in-house? JT: I think it depends on the size of the organisation. The main issue for an organisation of about 50 people if you’re doing everything in-house is that you’ve got quite a small gene pool to draw from, so ideas can end up being a little tired. The larger company, meanwhile, will have more opportunities to swap people around and will tend to be harder on performance review. So, the larger organisation has a better opportunity to do most of the functions in-house, whilst seeking outsider expert advice. A larger organisation would certainly want to have an in-house lawyer, but that person would also work with external solicitors for specialist advice. In my opinion; the smaller the company, the bigger the opportunity for outsourcers. RH: I agree with John that smaller companies often benefit more noticeably from outsourced talent. In terms of specific tasks and functions though, I honestly can’t think of anything that is beyond outsourcing. In fact, within The Marketing Centre and the broader Liberti Group, we have a number of clients where the entire leadership team is made up of part-time directors. You could argue over whether that counts as outsourcing or not. I would argue not. They just happen to be part-time. We’ve been working with a client for eight years, for example. Are they outsourced? No, they’re just part-time leaders, but they are part of the leadership team of that business. JT: To expand on Richard's thoughts, I'd add that, when you look at some organisations today, many have very few employees and outsource virtually everything. There’s no reason why you shouldn’t have multiple sub-contractors, partners, franchisees, alliances. 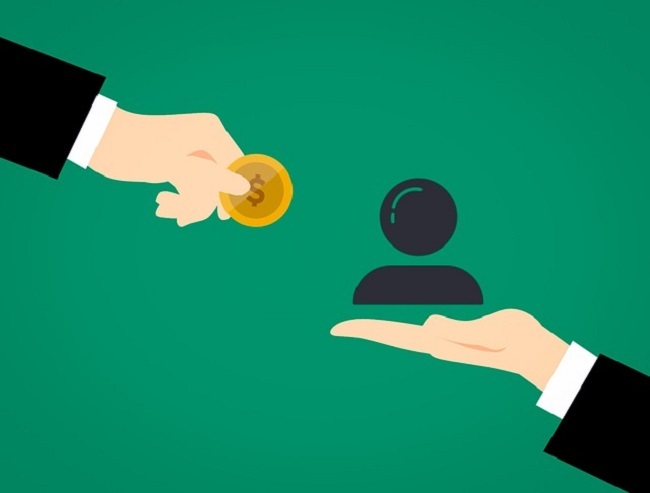 If you concentrate on the key value and function of the business, there’s no reason why you shouldn’t outsource the lesser valuable or lesser contributing elements. V: How do you both think outsourcing should be managed as a resource? JT: If you treat it as some sort of external supplier that’s going to do a specific job, you need to manage it. The other route is, of course, to make them part of the team and therefore accountable. This is definitely the route I'd recommend. To be effective you’ve usually had to put a manager inside the business to manage that external resource. You need to draw these people in and make them part of the fabric of the business. RH: I agree, but I will add that there are drawbacks to installing outsourced individuals at the top of the chain. One of the things that I believe always needs to remain in-house is the leadership that develops the essential culture of the business. The cultural custodians, if you will. You can bring in HR people to help with various cultural issues, but, at the end of the day, the culture and the DNA of a business is something that is owned by that business and it can’t be brought in from the outside. V: There are a lot of charlatans out there, so what do you think are the signs that you’re contacting the right people? Is there a litmus test? RH: I think what any business owner should be doing is making sure that whoever they’re talking to relates back to them their understanding of the key issues that need to be addressed. Only by doing that will you really get a sense of whether the person you’re talking to really understands. I also think a personal chemistry is essential. Ask yourself if this is someone whose opinion you trust. Someone who has demonstrable experience in solving the problems you want to solve, someone who you could really develop a genuine working relationship with and someone who has the gravitas and experience to challenge you. In our case, the idea is to forge connections between the right marketing director and the right CEO. JT: I think it’s down to the brand, isn’t it? Look for a well-established name with a great track record and decent case studies. Let’s put it this way, if you’ve got a back problem and you want to look for a chiropractor, you want some pretty strong references. You’re not just going to knock on any door and let somebody break your back! V: Any good stories from the front line where companies have outsourced with amazing results? RH: Prestige Nursing is a great example of how our outsourcing model works really well for businesses. Prestige is a second or third generation family business that ostensibly provides premium nursing care for people in their own homes. The CEO is an Oxbridge graduate who essentially had the business fall into his lap because it was founded by his grandparents. It was turning over something in the region of £15 million and he was sat there wondering what to do with it. Funnily enough, he was already in a Vistage group and was clearly sharing his conundrum. He wasn’t convinced that he wanted to run this business for the next 25 years, however, as it was his family's business, he felt a burden of responsibility. The Vistage group introduced him to one of our marketing directors, Helen, who teased out the various options and did some scoping of the landscape competitors and what the market was looking like. At the end of the review, they decided they were going to look for a buyer. However, there were no centralised processes and systems, particularly when it came to marketing. All elements of their marketing were fragmented and being done differently by the individual companies dotted all over the country. So, we had to pull all of this together and develop a consistent approach to the marketing and the branding. It took a good couple of years to develop this business as a cohesive business underpinned by a scalable marketing engine with KPIs and measurements that would actually work in the hands of a third party. This 'outsourced' marketing director was very much part of the team by this stage. In fact, the eventual purchaser was a very well-known multinational, multibillion-dollar company called Sodexo who tried to poach Helen themselves, but she actually chose to remain with Prestige. JT: I have one very similar to Richard's actually. There's a company we worked with called ComXo, who outsource switchboards for lawyers and professional services firms. Andrew, who owns and runs the company, has IT, finance and marketing all on a part-time basis and those individuals are part of his senior management team, even though they might only be doing a day a week or two days a month. So, they are fully integrated and responsible as part of the management team. I think outsourced might even be the wrong word here. In this case, Andrew is using individuals to work in his company, who work on a part-time basis. You could perhaps call it a natural evolution of outsourcing. It goes back to what Richard was saying earlier, actually when they're not seen as outsourced, but as a legitimate part of the team. I don’t have the specific numbers, but the way the team runs and operates is fantastic, a senior level management team, all ‘external’ but operating as integral parts of the business. V: These sound like great examples of situations with external talent really getting in there and really diagnosing the issue. On the flip side, do you have any horror stories regarding businesses outsourcing? RH: As you said earlier, there are a lot of charlatans out there both on the agency and the consultancy/outsource interim side. Often, business leaders have hired one of these charlatans and have spent a lot of money on something that’s still sat in their drawer. It’s never been implemented because it's either telling them what they already know or simply isn't very good. This is another reason why it's probably so hard for some business leaders to let go and trust outsiders. I mean, just look at the public sector: G4S and the NHS. Fundamentally, it is underpinned by these people who are just trying to make as much money as possible. There’s no emotional attachment to the clients and resolutely crap briefings. I get quite annoyed that these agencies and charlatans are taking businesses for a ride because they just don’t have the expertise to deliver a brief and hold third parties accountable. JT: No horror stories here I'm afraid. V: Finally, John, is it fair to say that it is part of your role as a Vistage chair to let business leaders know that these opportunities exist? JT: I would, yes. I would also argue that Vistage itself could be considered external expertise. It's certainly a great way of getting peer-reviewed advice about what works and what doesn’t. I would guess that the majority of leads that The Marketing Centre, The FD Centre, Freeman Clarke, my in-house legal and all of these other companies get from Vistage come from a group situation where somebody is raising an issue within the group and somebody else around the table chimes in with, “have you thought about getting somebody in part-time?” It's all about referrals; either from within the group, from the chair or from somebody in the network who says, “You ought to try this, this really works”. Keep these avenues of communication open and you'll not only know when to get external help involved, but you'll avoid the charlatans and possibly, as was the case with Richard's Prestige Nursing example, find a short-term business partner that becomes a long-term asset. Outsourcing has evolved. It's no longer simply about bringing someone in to fix a problem and then sending them on their merry way, cheque in hand. It's about finding the right man or woman for the job and integrating them into the business, using their external expertise to create genuine internal change. A good consultant should be able to form a genuine relationship with the CEO that breeds genuine results. With the right attention, it can even be a relationship that blossoms into something more permanent and more rewarding. Ultimately, you will only get out of any third party what you are willing to put in, but as long as you offer a tight brief, achievable milestones, consistent measurement of results, and make sure your external consultants diagnose the root of the problem, outsourcing can be a significantly effective tool. Half the battle is in knowing when to reach out and knowing in which direction. With John and Richard’s wise words to guide you, hopefully, the next time you feel the need to reach beyond your in-house team and get external help, you'll be better informed to make that crucial decision.